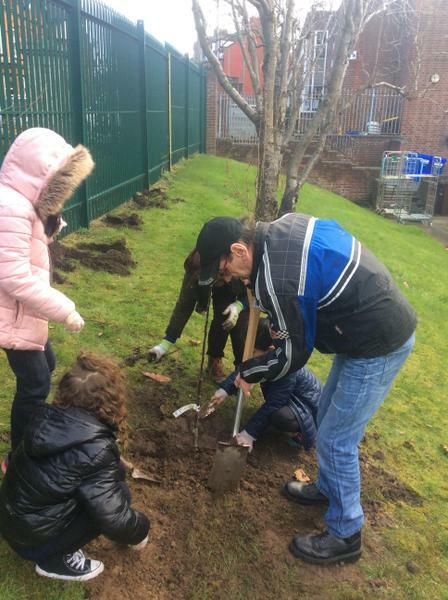 We were delighted to host the residents of Elm Court, Donegall Pass for the continuation of our Intergenerational Planting Project today. 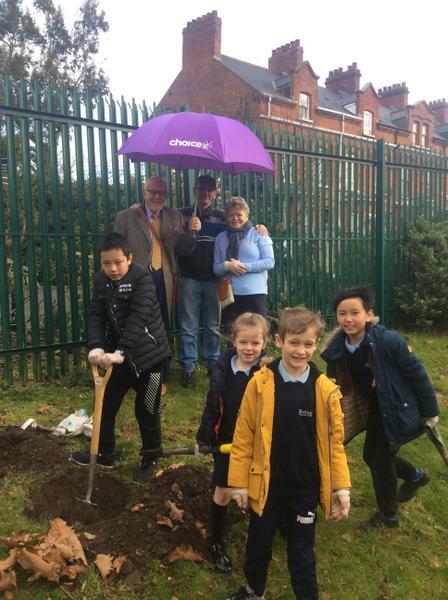 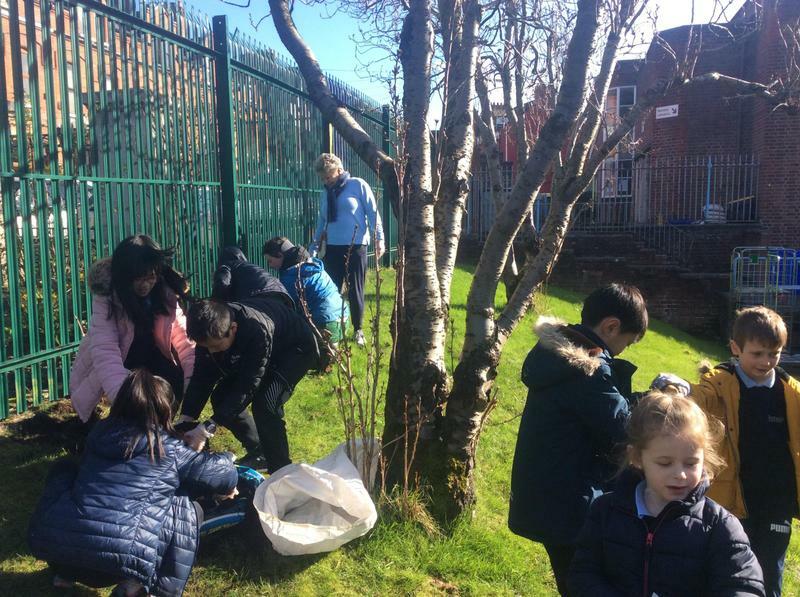 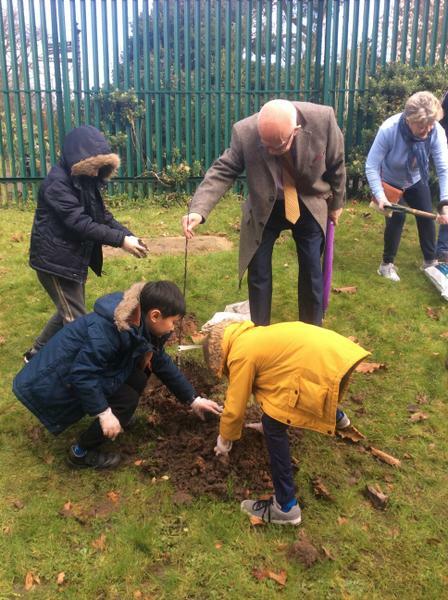 They helped us to plant a pear tree, several apple trees and a collection of raspberry bushes within our school grounds. 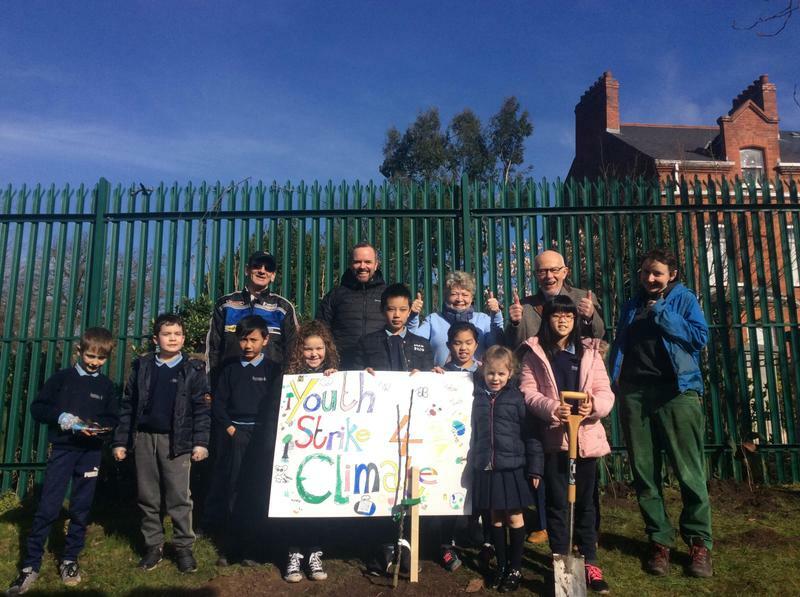 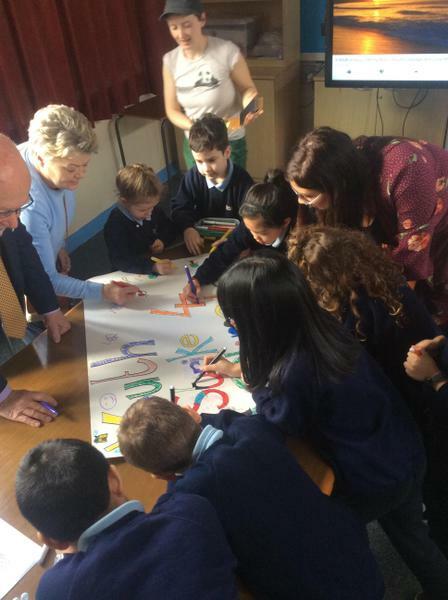 Not only will we hopefully have some wonderful fruit to harvest and enjoy in the future but we are also taking our own, community-based action to prevent climate change!